Poet in Residence Imtiaz Dharker tells us why she’s looking forward to hearing Gillian Clarke and Finuala Dowling read on Wednesday 10 October. I’m looking forward to the event with Gillian Clarke and Finuala Dowling on 10 October. One thing they have in common is that both came to writing poetry, or at least having it published, quite late in their lives. Gillian tells the story of writing a poem and throwing it away. Her first husband Peter Clarke rescued it from the bin, ironed the page and sent it off to Poetry Wales. She was thirty-three when it was published and since then her poems have reached thousands of people. So thank heaven for Peter Clarke! and snake charmer called Koringa. did a BBC-type narration in the background. and her hair stood out like a fan. our mother didn’t go larking about with reptiles. Gillian Clarke was National Poet of Wales from 2008 to 2016. She lives on her farm, Blaen Cwrt, in Ceredigion, and her emails to me have always been full of news of bluebell fields, new lambs being born, the hare that stops outside her window and holds her ‘in the planet of its stare/its silence’. She is a force of nature herself, a natural teacher and guide. With her work on the GCSE and A Level syllabus for over thirty years, she has influenced a whole generation of students. She travels around the country with Poetry Live, reading to thousands of young people every year. I’ve seen her answer every email from students who send in questions from all over the world. She was awarded the Queen’s Gold medal for Poetry in 2010, the Wilfred Owen Award in 2012. Her prose work, At the Source, is a wonderful piece of writing, and if we are lucky, she will do a follow-up to that soon. 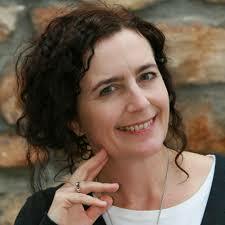 She has written radio and theatre drama, and translated poetry and prose from Welsh. Her tenth collection of poems, Zoology, was published by Carcanet in 2017. That book came out of a residency we shared at different Museums in Cambridge, and it was miraculous to see her crafting the poems that are now in this book.